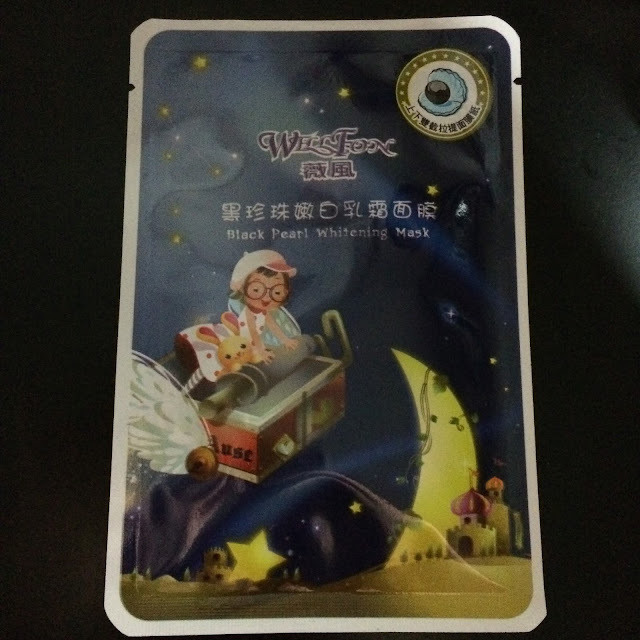 This mask is supposed to revitalize dull and lifeless skin for a bright and healthy looking complexion. 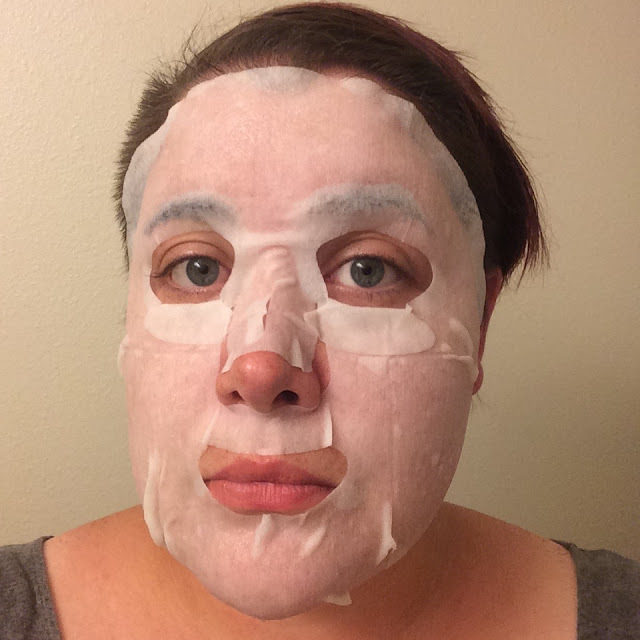 Unfortunately this mask had such an awful fit that I didn't keep it on long enough to get any real benefits from it. This mask contains green tea essence (which moisturizes) and hydrolyzed collagen (which gives your skin elasticity), and is recommended for both dry and oily skin. It had a good fit and was comfortable to wear. 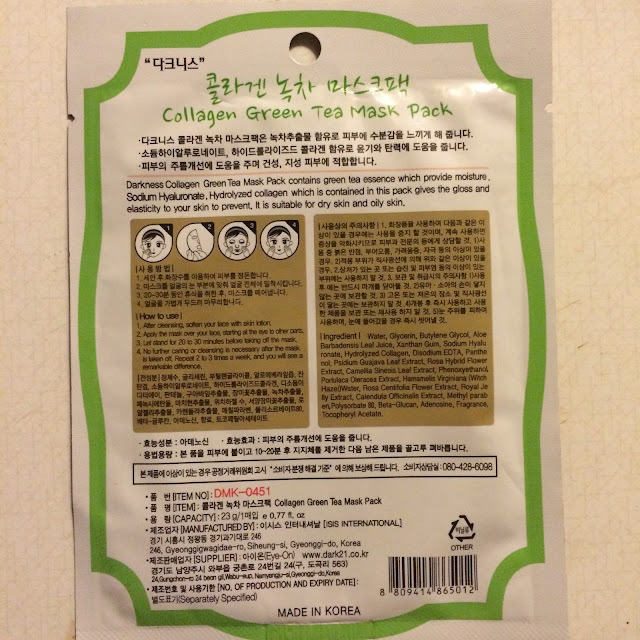 My skin absorbed the essence from this very quickly, I would say within 15 minutes. There were no lasting effects from this mask. This is part of a set of eight cups, and I used this one first because it had partially popped open during transit. 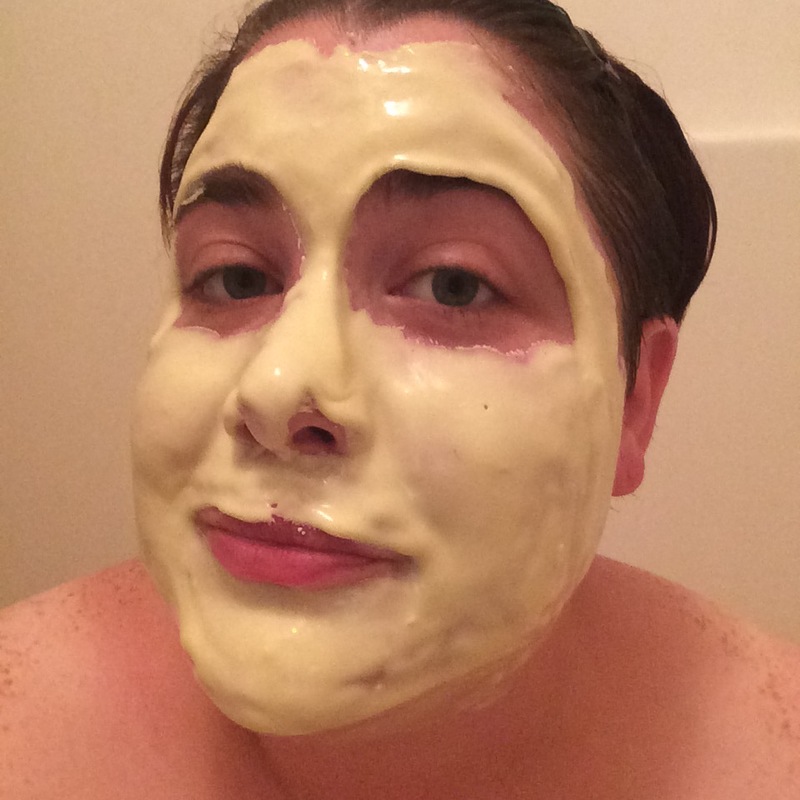 You simply add a bit of water to the powder in the cup and mix it to a cake batter consistency, then spread on your face. 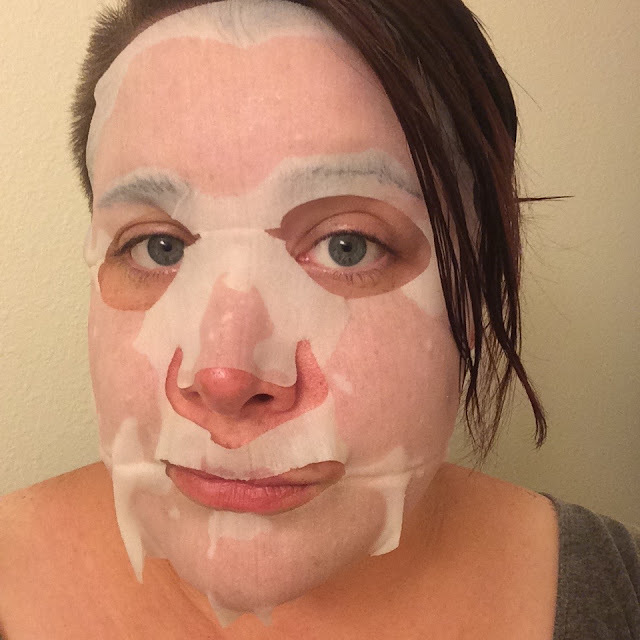 It'll dry to a rubbery mask and you peel it away, and toss it in the trash - DO NOT PUT THIS DOWN YOUR SKIN/DRAIN. I love these because they make my skin super soft. This one was very brightening for my skin as well. 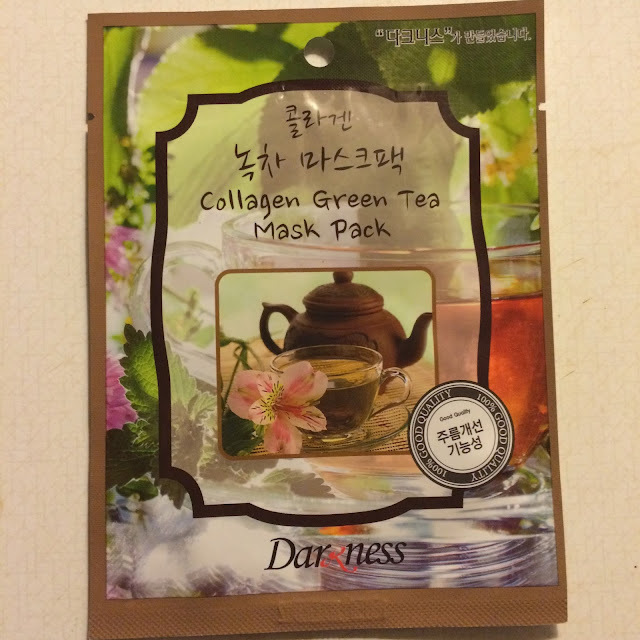 This mask is featured in my current giveaway, and is one of my favorites right now. 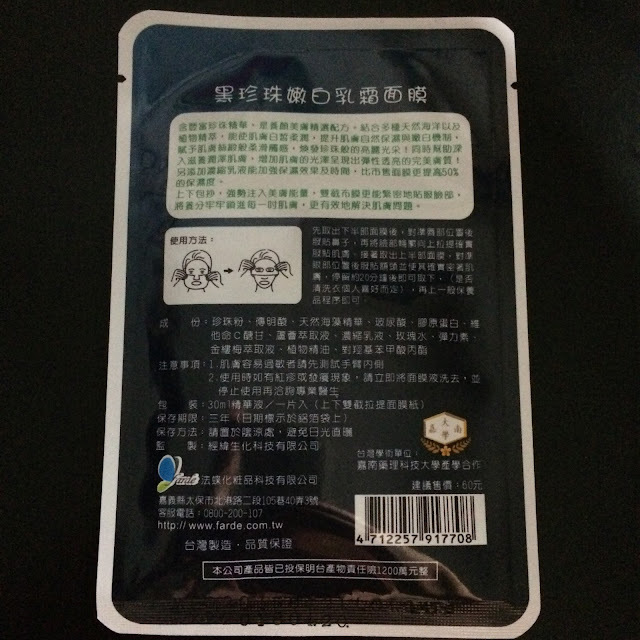 It has a slightly herbal scent, and has a gel essence adhered to a fabric sheet. It's cooling and very soothing when applied, and it seems to really help my face demons calm down. 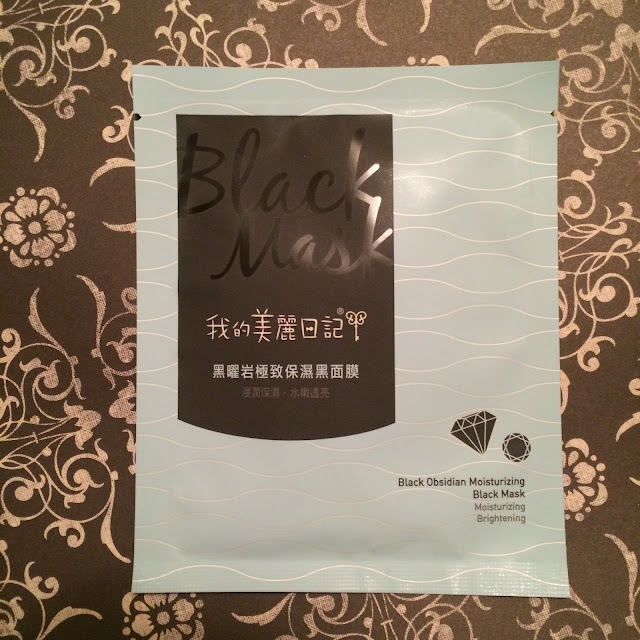 I love black sheet masks - they're always thick and packed with essence, and this mask was no exception. 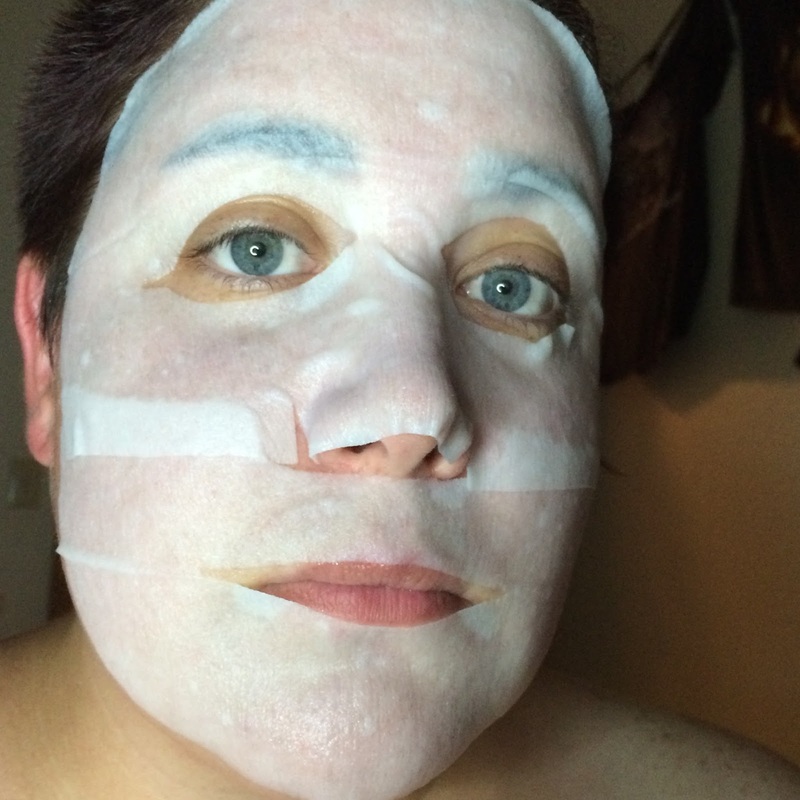 This mask also had a piece that covered my jawline, which I really enjoyed. 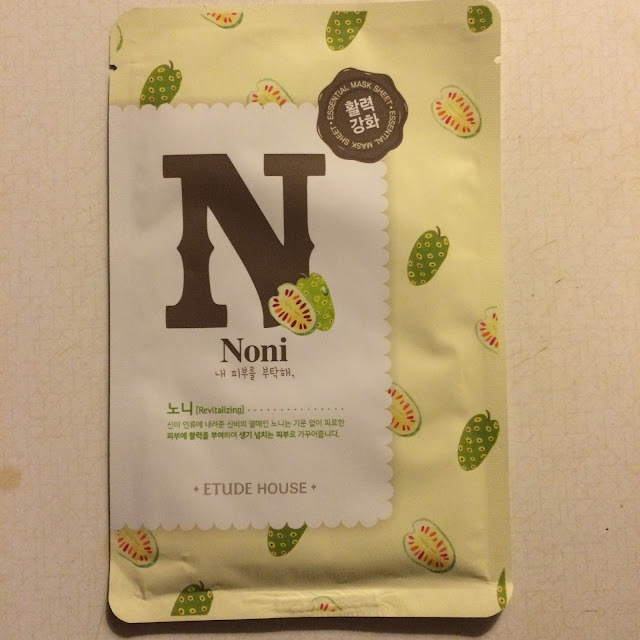 This mask delivered some nice moisture to my skin. 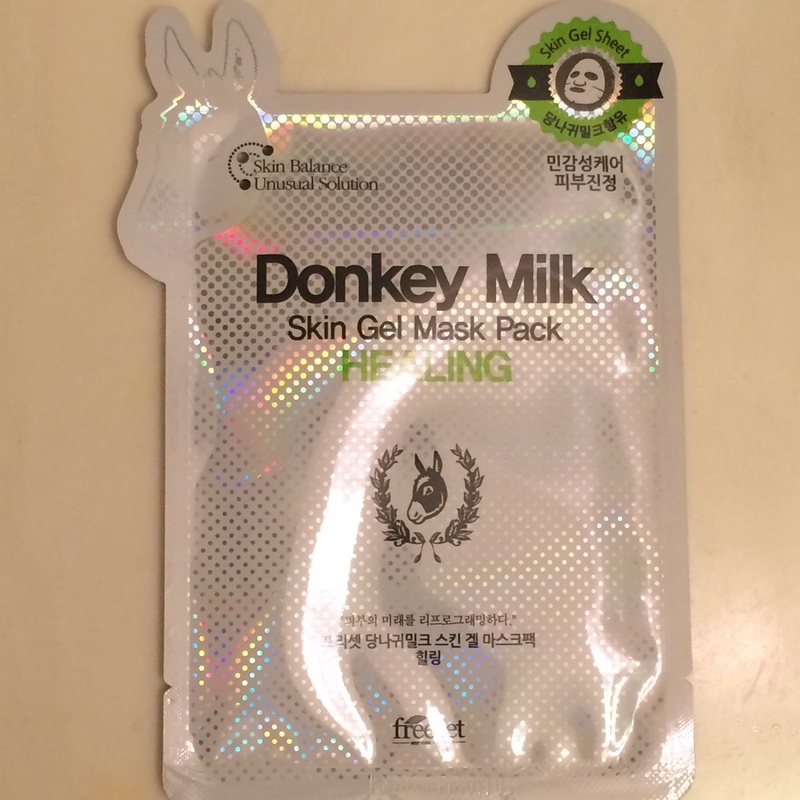 I received this in the August Mask Box from Memebox, and have such mixed feelings about it right now. Out of the package it's thick, uncomfortable and almost dry feeling. I had a very hard time trying to form it to my face, and it just didn't feel good at all - until it warmed up! As it warmed against my face it softened up and started to absorb. 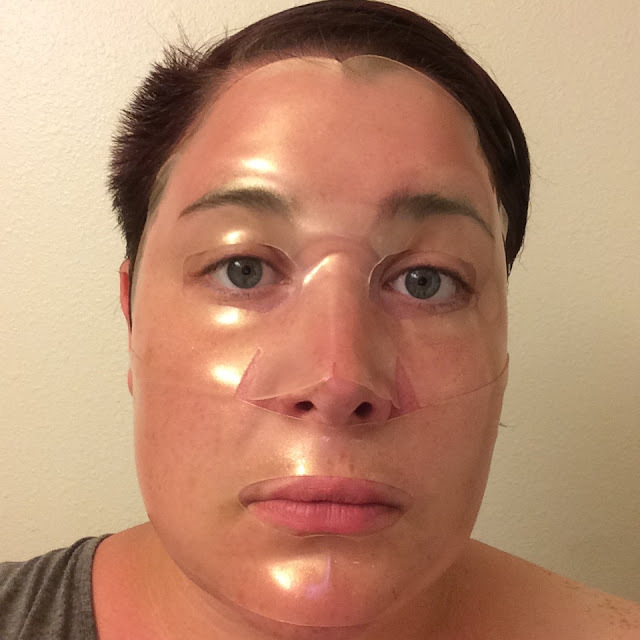 Then it formed perfectly to my face, and felt so soothing against my sunburned skin. 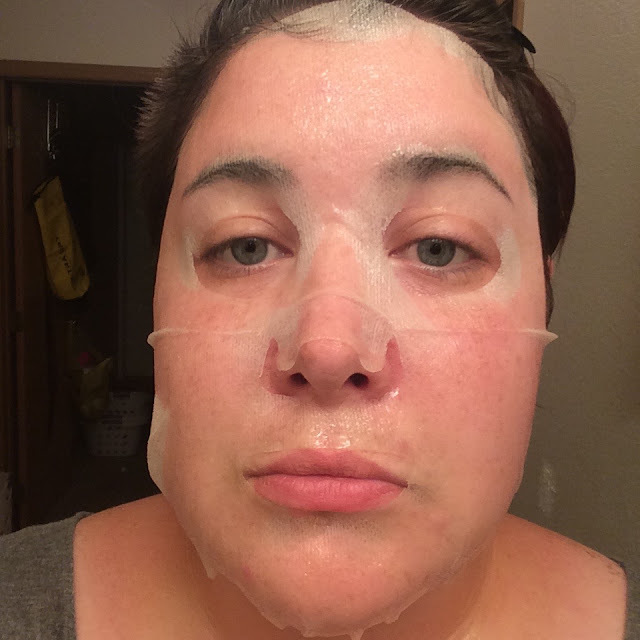 It was definitely hydrating, and it was kind of a shock to see how thin the sheets got when I removed them. I purchased 2 mask boxes, so I have 3 more of these to try out and get a better impression of them. 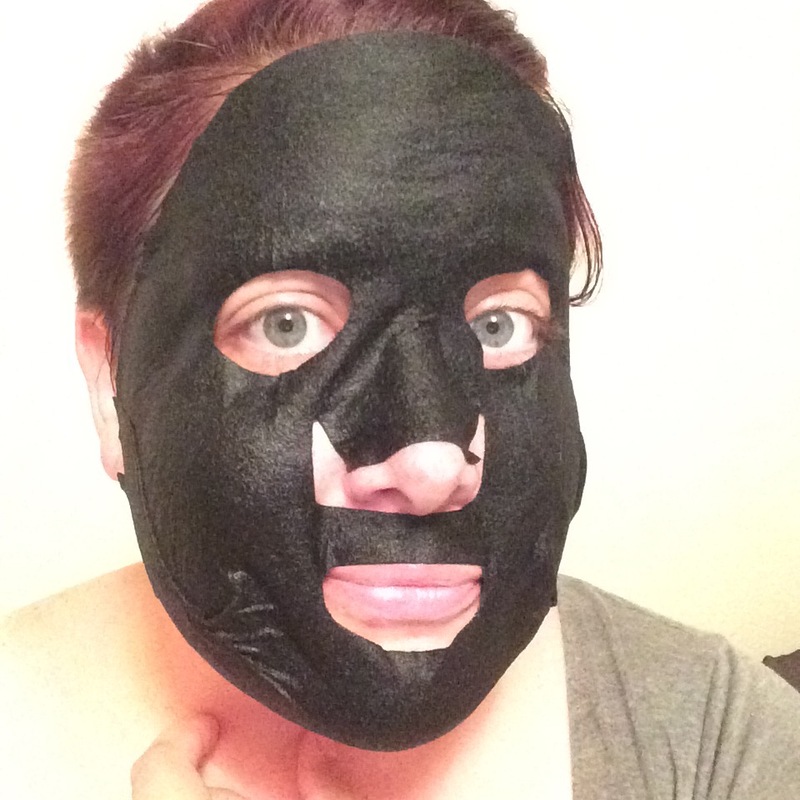 This mask is amazing as far as comfort and fit are concerned. It's a two-piece mask made of thick cotton and is soaked with essence. I found it be slightly brightening but very hydrating. Love your blog! 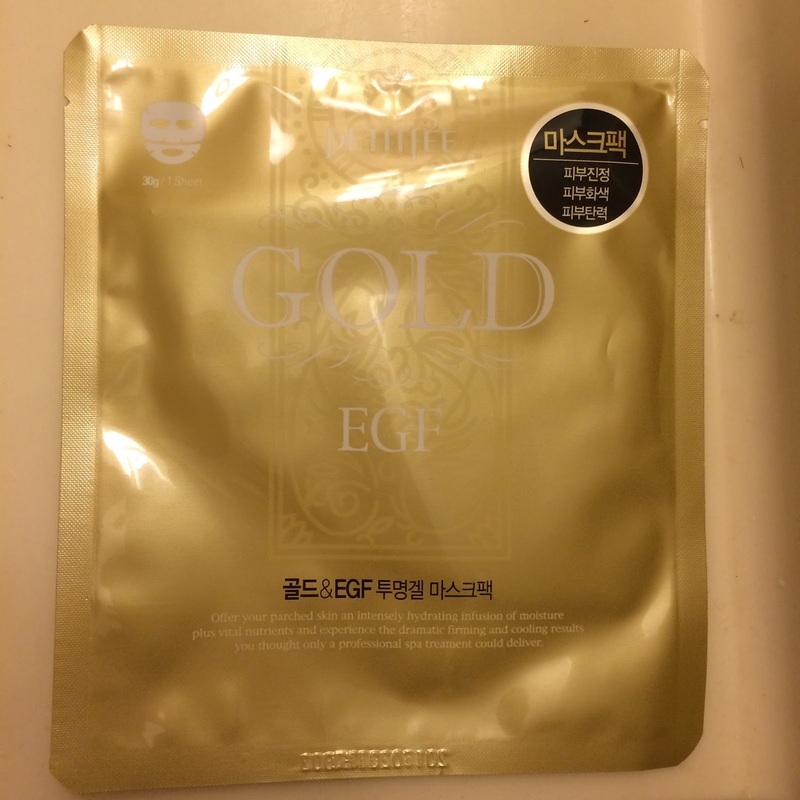 It's hard to find one where only sheet masks are reviewed but my search is over! Very comprehensive. I love seeing your daily mask. 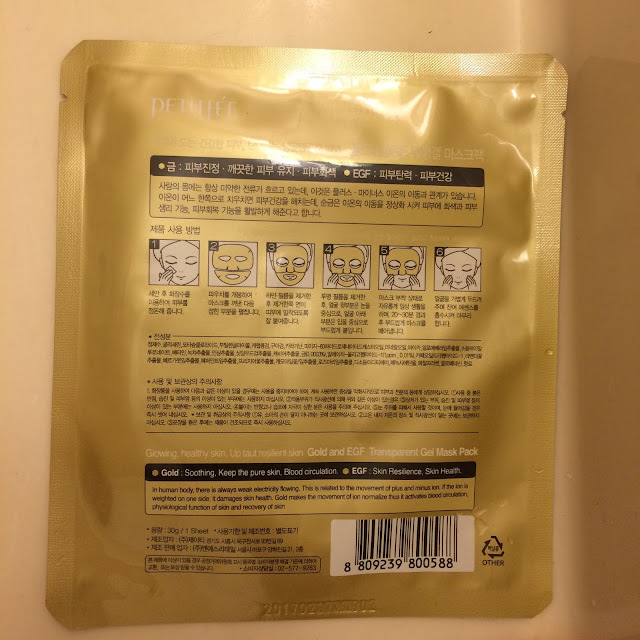 I have a ton of masks and use one a day. I tried a SeaTree one today called Art Ice. 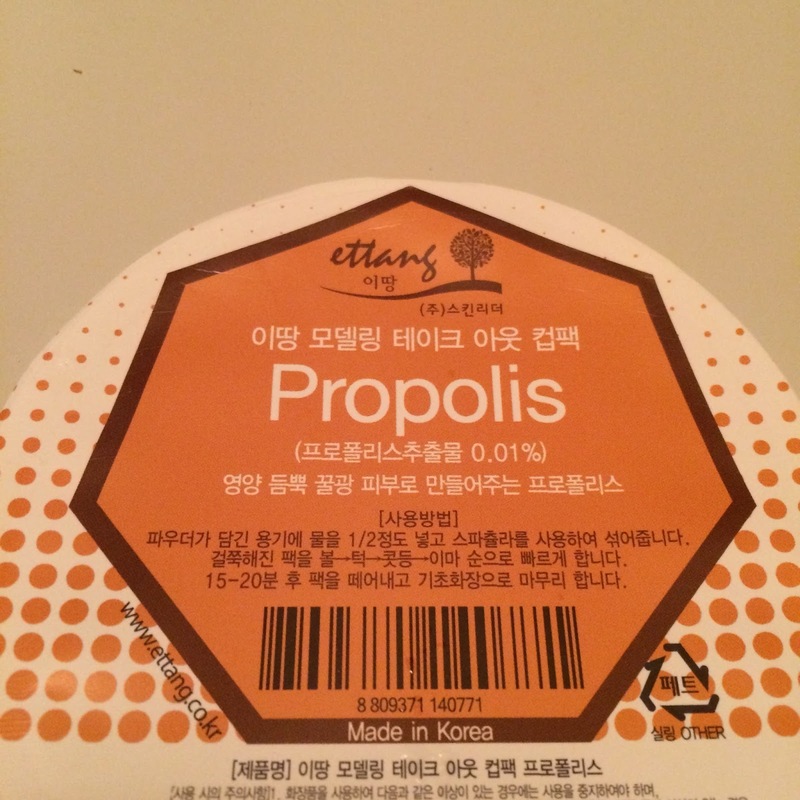 It was refreshing and moisturizing. Had horse chestnut extract in it. 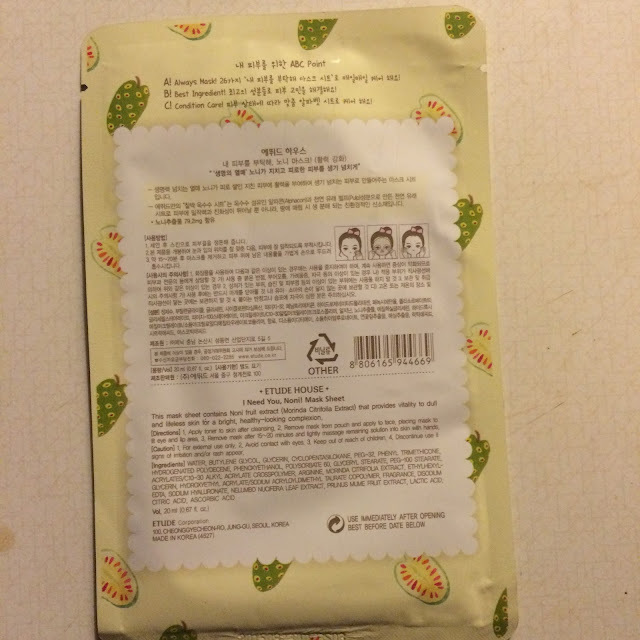 I have a FarmStay Greentea Seed one lined up for tomorrow. 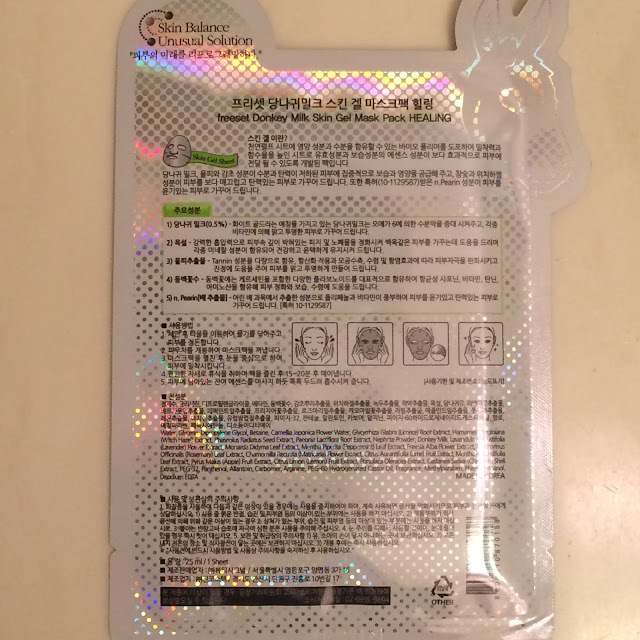 I like the idea which I saw on another blog of saving the envelope in a beauty notebook and commenting on the results. 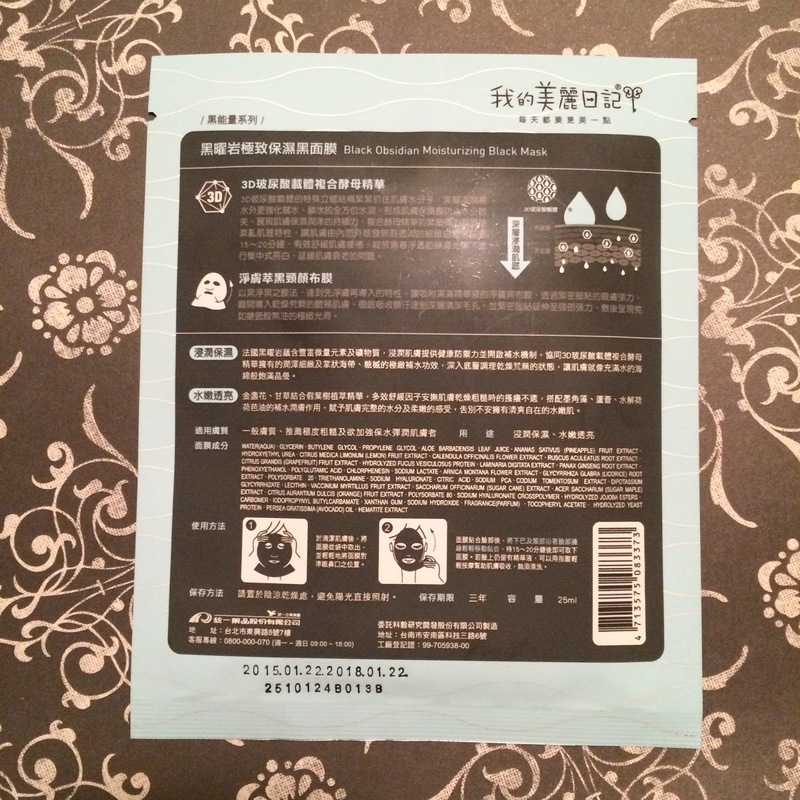 I love my Daiso sheet mask cover! My only complaint about it is that no matter how I trim it my ears end up hurting after a while. So I can only use it a two or three days a week.